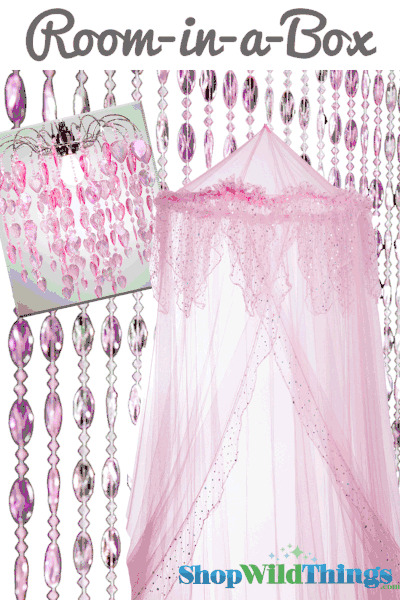 This wonderful Room-In-A-Box includes one of each: "Evangeline" Pink With Holographic Polka Dots Canopy, Ice Pop Pinks Beaded Curtain and "Fountain" Pink Chandelier. The soft and sweet "Evangeline" canopy is topped with a cascading overlay that's dotted with wonderful Holographic circles! The opening on the front is also trimmed with a ruffled and matching holographic circles edge. The pink fabric is sheer and just the perfect amount of frill for your little princess. The soft polka dots on top are holographic and reflect all of the colors of the rainbow, but look silver at first glance. 100% Polyester Netting-Pink , top folding metal ring 2' Ring Diameter, x 8.2' Length, x 39.4' Fabric Circumference. Canopy mounting hardware included. The Pink Ice Pops Beaded has 34 strands of beautiful twisted beads and is 35" Wide x 70" Long. Our wonderful heavy-duty acrylic beaded curtains are a perfect addition to any room! Use in the place of regular doors, closet doors, on top of a shower curtain or behind a bed as a headboard to add the illusion of height to any room!You might use the Beaded Curtain in the doorway, in a window, or hanging behind the bed. 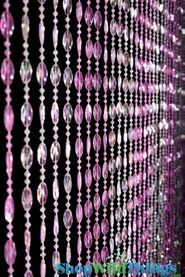 We do sell the beaded curtains individually, so should you need to cover a wider space, simply purchase additional beaded curtains. The curtains, when hung next to each other, look like one seamless curtain. 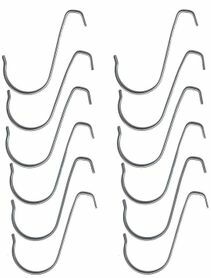 Hanging Beaded Curtains is easy, you just need two C-hooks or two nails. They take seconds to install. Hardware is not included for hanging the beaded curtain. The "Fountain" Chandelier does not include a light kit but if you do want an electrical cord that fits this chandelier, please see our Light Cord Kit. The beads are Pink with an Iridescent Coating. 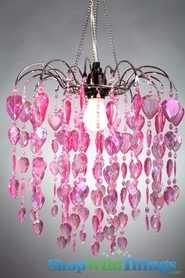 The chandelier size is 12" in diameter, 13" Bead Length. The room in the box made it simple and quick to transform my daughter's room. The room looks amazing!! Everyone who sees it is impressed. Also, they have an excellent customer service team! !